PureousTM Drain Treatment is a revolutionary new product that works by use of PureousTM powered technology that cleans on the molecular level. Common drain treatments and cleaners are among the most dangerous products in use as many have strong acids and harsh chemicals that can easily damage pipes. 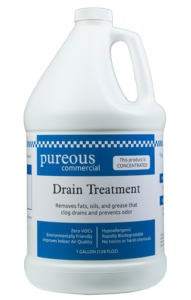 PureousTM Drain Treatment uses a powerful and safe technology that cleans even the toughest problems. With PureousTM Drain Treatment you no longer sacrifice safety for effectiveness. 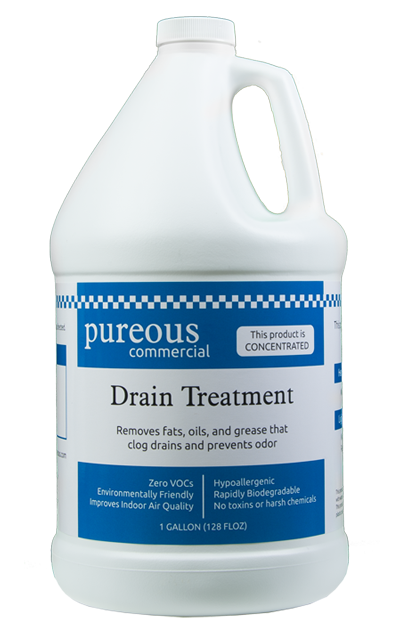 PureousTM Drain Treatment does not contain toxins or harsh chemicals, like acid, that can destroy your pipes and expose your customers, employees, and family to deadly chemicals.